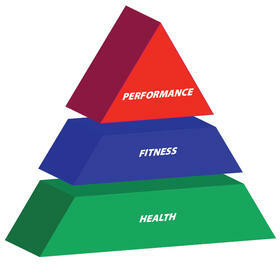 For Health, Fitness and Performance! Fit, Healthy & Strong for Life! "If You are Serious About Committing to Your Goal and Getting In Shape; Whether it Be Achieving Optimal Health & Fitness, Reconciling a Chronic and Degenerative Disease or Breaking a World Record. Please Take Ten Minutes to Let Me Share With You Perhaps Three of the Most Important Lessons That I've Learned Over my Fifteen Year Tenure as a Competitive Athlete and a More Than Thirty Four Year Tenure as a Non Clinical Director of Research and Developme nt in Human Performance. TRUTH #1: "Stablize Blood Sugar because it is "The Limiting Factor" associated with the Acquisition and Maintenance of Any and All Health, Fitness and Performance Related Goals!" TRUTH #2: "The Human Body Must be Exercised for at Least Thirty Minutes per Day, Four Days per Week at a Specific and Regulated Intensity in Order to Lower The Fat Thermostat (Adipostat) while Accelerating the Energy Wasting Mechanisms Associated with Achieving Permanent Fat Loss and Maintaining a Lean, Healthy & Fit Mind, Body & Spirit for Life!" TRUTH #3: "Understanding the Importance of Controlling Your Conscious Thoughts, Feelings and Emotions and Their Direct Impact on the Acquisition of Success in Every Area of Your Life!"